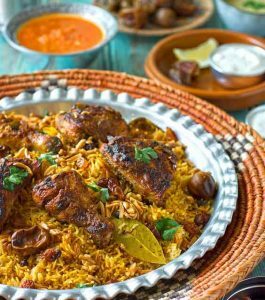 Question: Will eating cooked food breaks/invalidates your wudu? عن أَبَي هُرَيْرَةَ رضي الله عنه قال: سَمِعْتُ رَسُولَ اللّهِ صلّى الله عليه وسلّم يَقُولُ: “تَوَضَّؤوا مِمَّا مَسَّتِ النَّارُ” رواه مسلم. the short answer is, No, eating cooked up food will not break/invalidates your wudu, although there are some scholars who take the literal meaning of this and have this opinion that if you eat something that cooked up will nullify your wudu. but the majority of Scholars don’t take the literal meaning of this hadith. The reason why the majority don’t take the literal meaning is that they have many other ahadith and athaar form companions, that prove there’s no wudu after eating something cooked up. This hadith is narrated in Sahih Bukhari, that the companion Jabir bin Abdullah RA was asked this question and answered that at the time of the holy prophet PBUH whenever we ate something cooked after that we prayed salah and didn’t perform wudu. جابر بن عبد الله رضي الله عنه “أنه سُئِل عن الوُضوءِ ممّا مَسَّتِ النار، فقال: لا، قد كنَّا زمانَ النبيِّ صلّى الله عليه وسلّم لا نجِدُ مثلَ ذلك من الطعام إلاّ قليلاً، فإِذا نحنُ وَجَدناهُ لم يكن لنا مَنَادِيلُ إلاّ أكَفَّنا وَسَواعدَنا وأقْدامَنا. ثمَّ نُصلِّي ولا نَتَوضأ”. Basically, those ahadith that talk about making wudu after cooked food is necessary, are intended to literal wudu which is to wash hands and rinse our mouth so that we don’t have smell food that we just ate.